Location. 39° 39.57′ N, 75° 33.827′ W. Marker is in New Castle, Delaware, in New Castle County. Marker is on Delaware Street west of Market Street, on the right when traveling east. Touch for map. 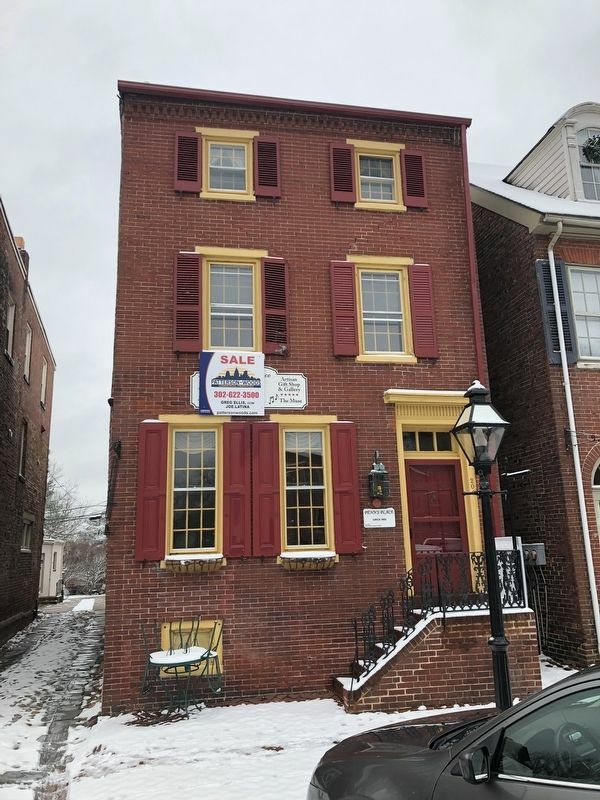 Marker is at or near this postal address: 208 Delaware Street, New Castle DE 19720, United States of America. Touch for directions. Other nearby markers. At least 8 other markers are within walking distance of this marker. New Castle Court House 1732 (within shouting distance of this marker); Delaware's Independence Hall (within shouting distance of this marker); The Green or Market Plaine (within shouting distance of this marker); Sheriff's House and County Jail (within shouting distance of this marker); New Castle Common (within shouting distance of this marker); Van Dyke House (within shouting distance of this marker); Presbyterian Church (about 300 feet away, measured in a direct line); The Welcome Society of Pennsylvania (about 300 feet away). Touch for a list and map of all markers in New Castle. More. 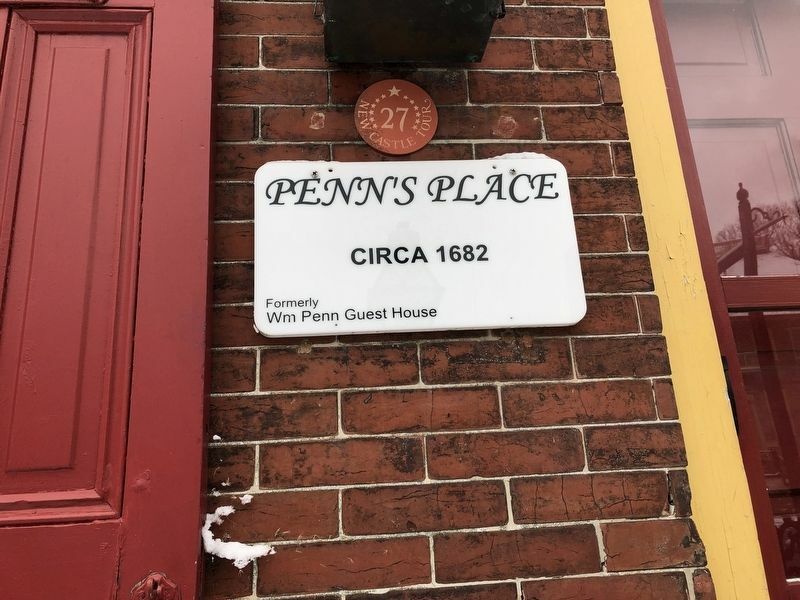 Search the internet for Penn's Place.